While football is one of the world's greatest sports, the game has a dark side. 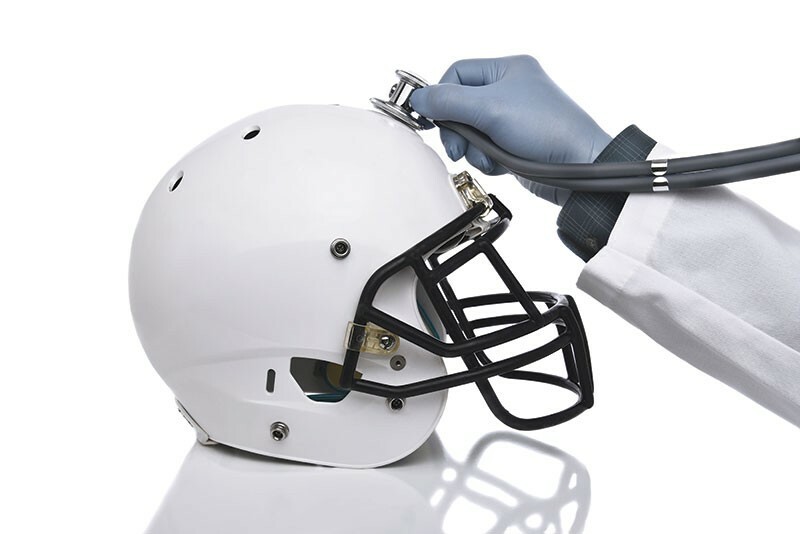 For players, the potential for concussions and traumatic brain injury, and, if left untreated, the prospect of developing chronic traumatic encephalopathy (CTE) are becoming more well known. Chronic traumatic encephalopathy is "a progressive degenerative disease of the brain found in people with a history of repetitive brain trauma"—often athletes. Its symptoms, according to the Boston University's CTE Center, include "memory loss, confusion, impaired judgment, impulse control problems, aggression, depression, suicidality, parkinsonism, and eventually progressive dementia." Being the full contact sport that football is, injury is part of the game. While many injuries are orthopedic—such as broken legs—and are immediately apparent and treatable, head trauma is another story all together. In an open letter to the National Football League, Lester Grinspoon, a psychiatrist at Harvard Medical School, writes that he "is becoming increasingly uncomfortable with the growing specter that many of these athletes will pay the price of developing [CTE]." This sentiment is echoed in a recent study conducted at Boston University's CTE Center. In postmortem brains of former football players, 99 percent of NFL players and 91 percent of college athletes were found to have suffered from CTE. For many players, current and prospective, it is 4th and 20 with 55 seconds left in the fourth quarter. Cannabis may be the call. When our brains are subjected to trauma, endocannabinoids (our internally produced cannabinoids) significantly increase and help "lessen the inflammatory process and enhance brain cell survival after injury," according to Bonni Goldstein, author of Cannabis Revealed. Cannabidiol (CBD), a phytocannabinoid found in cannabis, could reinforce and enhance this process. Cannabidiol is a proven and potent anti-inflammatory, neuroprotective and neurogenerative, all properties that could be utilized therapeutically in acute instances, as well as a long-term preventative medicine. Additionally, this would reduce reliance on prescription opiates and addiction rates. Let's use our heads. Therapeutic CBD products should be made available for players of this magnificent sport. Patrick Anderson is a lead educator at Project CBD, patient consultant at Emerald Pharms and will be waxing poetic about cannabis therapeutics at the Norte Dame football home opener Saturday. Go Irish!